In the U.S., multiple legislative changes have been improving the information available for off-label use of medications (JPGN 2013; 56: 113-4). The Pediatric Research Equity Act (PL 108-155) and the Best Pharmaceuticals for Children Act (PL 107-109) help the Food and Drug Administration (FDA) promote pediatric trials and better information. Despite these improvements, the data may be difficult to interpret. The authors of this commentary note that only “48% of trials of products that had pediatric safety information added to the product’s labeling were reported in the peer-reviewed literature.” Furthermore, in about half of the published articles, the studies did not emphasize the same information as the FDA labeling. Even when a fair amount of data is provided, it is frequently ignored. A specific example given by the authors: lansoprazole. Lansoprazole is not approved in patients younger than 1 year and labeling describes a negative trial in this age group. Yet, in the U.S., lansoprazole was dispensed off-label in this population approximately 358,000 times in 2010. Pharmaceutical companies benefit whether the prescription is for an approved indication or for an off-label use. Even with approved uses, there have been substantial concerns about adverse effects. The likelihood of more risk and less benefit is much greater for off-label use. So with the next prescription, it might be worth thinking about whether the medication works, whether there is sufficient data to support an approved indication, and how much risk is involved. Maybe not (NEJM 2013; 368: 103-05). While the FDA is responsible for overseeing the safety of pharmaceuticals and veracity of marketing, its authority does not extend to the practice of medicine. 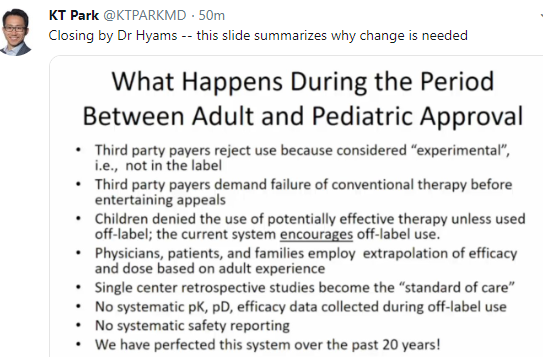 This enables the widespread practice of using medications for “off-label” purposes. Physicians can use approved drugs for nonapproved uses. FDA regulations have restrained marketing of off-label uses of prescription medications by pharmaceutical representatives. At stake is whether the ability of the FDA to combat false or misleading speech. In addition, limiting the FDA’s authority may lead to fewer studies documenting the effectiveness of medications for various indications. 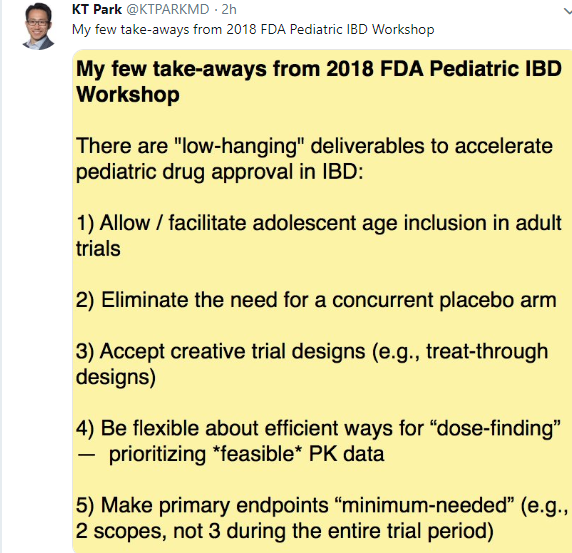 If the medication is approved for one use and there are no constraints on marketing, there will be little incentive to complete additional studies.